Our daily rhythm is consistent and predictable. It is designed to maximize time for children to relax and dig deeply into ideas and projects with a minimum of interruptions and transitions. While the order of events does not change, the length of time available for each varies day to day depending on the interests and needs of the children. The children arrive with an adult and are helped to wash hands before choosing from a limited selection of activities including: working in journals, puzzles, games, quiet building and sensory activities. At around 9:15, everyone helps clean up our meeting area for circle time. This is the main teacher-directed portion of our day. Liz and Wendy lead children in music, movement, games, and addressing skills in language, mathematics, social studies, social skills, science and geography. There is a mix of seated activity and movement, and the games are designed to accommodate the broad spectrum of ages and stages within the group. After circle time, children help to set the table, and snack is served family-style. Family-style eating promotes social skills and a positive attitude towards food and nutrition. Children develop motor skills as they learn to help themselves using serving utensils and pouring from small pitchers. Children are encouraged to pass items to each other at the table and to converse naturally with their friends. The children clear their own plate and cups, sorting any trash from compost. 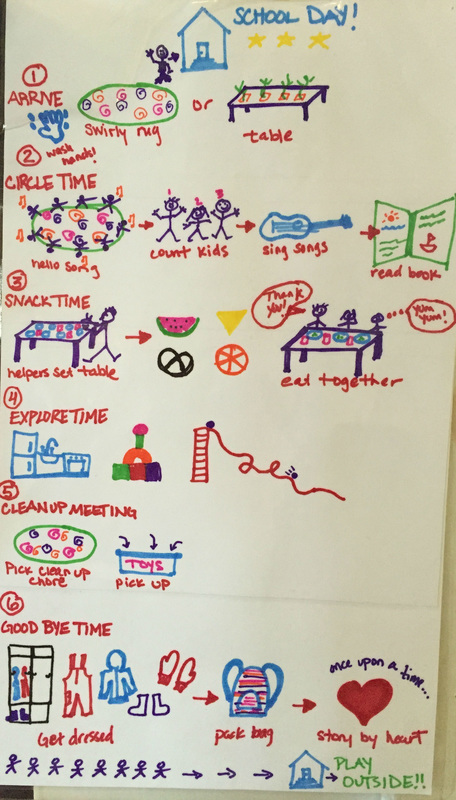 Children decide how much time they spend at the snack table before moving on to Explore Time. During Explore Time, the whole room is open. There is usually an enrichment project related to the theme of study. This is a time when teachers are available to help children pursue their own interests, or dig deeper into the class theme. 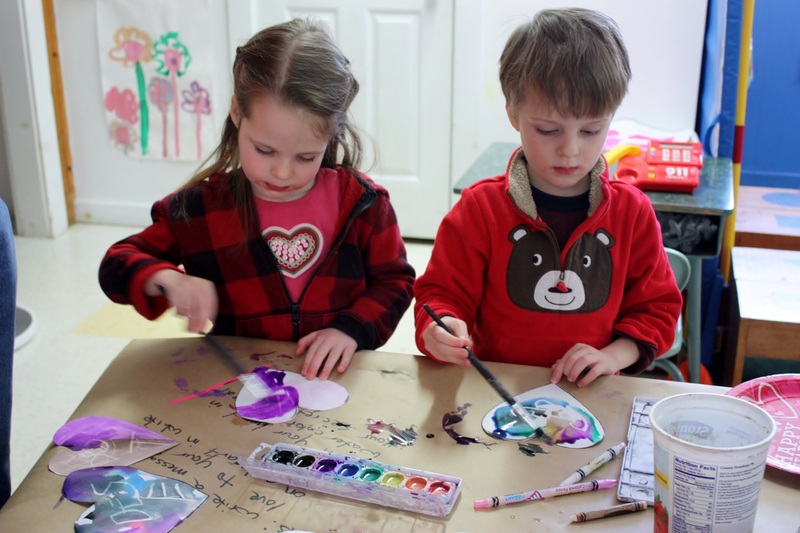 Children can be seen working and playing independently throughout the room in various interest areas. Explore Time is concluded with Cleanup Meeting where each child volunteers to clean up in an area of their choice, before gathering their belongings to go home, and choosing and independent reading book. Our closing circle includes a Story By Heart told by one of the teachers, before heading outside to the playground where the children are picked up at noon.